This Holden is now built in Germany, but still has all the key characteristics you’re used to in a Calais. I got quite a few comments driving this Holden Calais Tourer around for a week. Dads stopped me on the school run, “Is that the new Holden?” Neighbours commented while walking past the driveway, “Is that the new Commodore?” It seemed everyone was interested because the Calais Tourer looks good. 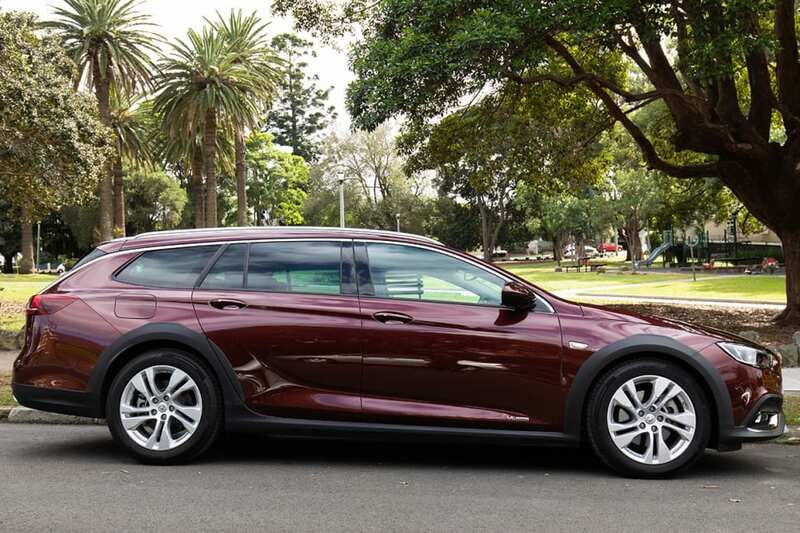 It’s essentially a five-seat wagon, but it’s not the Holden Sportwagon - similar, but the Tourer is longer and higher. It’s a part of the Commodore family and I was in the Calais which is second from the top of the range. This particular Holden is now built in Germany but still has all the key characteristics you’re used to in a Calais, with a V6 engine and streamlined style. Here’s how it did over a week with my family. It’s long, sleek and elongated, with a sophisticated air about it. 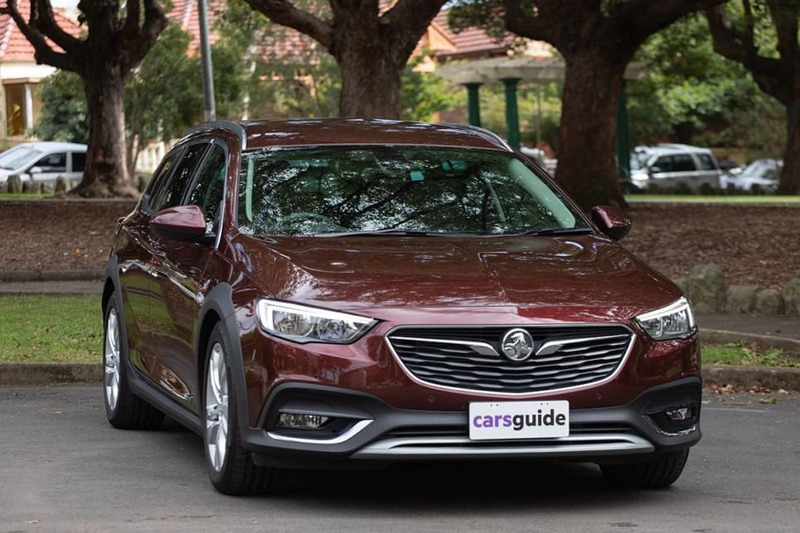 There’s a sense of refinement that we haven’t seen for a while with Holden, and while it’s not your brash Aussie anymore, I don’t think anyone will mind that touch of European styling. Wagons have come a long way in design and they’re looking rather elegant. There’s a sense of refinement that we haven’t seen for a while with Holden. It’s long, sleek and elongated, with a sophisticated air about it. Inside is good, too. There are leather seats in a pebbled leather that doesn’t look super luxe but it will wear well, so will still look like this in a few years. The leather steering wheel feels nice under the hands, and the centre console is sleek with high gloss black accents and soft closing storage panel lids. It’s all quite functional and everything is within reaching distance. The end result is good and it makes you feel good while driving it. It has a 3.6L V6 engine so it really goes. You do have to press down on the accelerator to get it moving and it is semi-loud when it gets going, but that’s what you get with a big engine. It has a 3.6L V6 engine so it really goes. It does give you the confidence to overtake with ease on the open road and getting up hills is no problem for the Calais Tourer, even with a full, heavy boot load. The steering is good and the car handles quite nicely. It’s also an all-wheel drive (AWD) which means you’ll be able take it on unstable road surfaces but it’s not as high as an SUV so be careful going off-road. It is higher than the Sportwagon though. I didn’t have any issues driving it this week. Parking in such a long car has it’s downsides but as long as you find the right space you will fit. It’s not as bulky as SUVs that are this long either, so there is less to worry about. The steering is good and the car handles quite nicely. The reverse parking camera could be a better resolution, but you can still see what is behind you and that’s the main thing. It does have a large turning circle which means U-turns are more often three-point turns, but if you want that boot space, there does have to be a payoff. The gears moved easily and quickly so that made the three-point turns quite painless. There is loads of room in the front seat, both me and my tall husband had enough room in between us and there is a good amount of leg and head space. The kids also have lots of space in the rear and I was able to lounge around on the back seat with plenty of room to spare between my knees and the seats in front. There is a good amount of leg and head space. The kids also have lots of space in the rear. The boot is huge - a large 793L (to the roof). My husband didn’t have to compromise on his seat positioning which he does have to in smaller cars. So everyone was comfortable. And the boot is huge. A large 793L (to the roof) which I really needed this week as I had to transport a bunch of boxes from one end of Sydney to the other. I think large boots are really underrated for families and it’s not until you regularly drive with a large boot that you see just how useful they actually are. In the front you’ll get two cupholders plus a small, deep storage hole that I popped my water bottle into all week, and keys and a phone will fit in there, too. There is a decent sized centre storage bin with USB points and a bottle holder in each door. 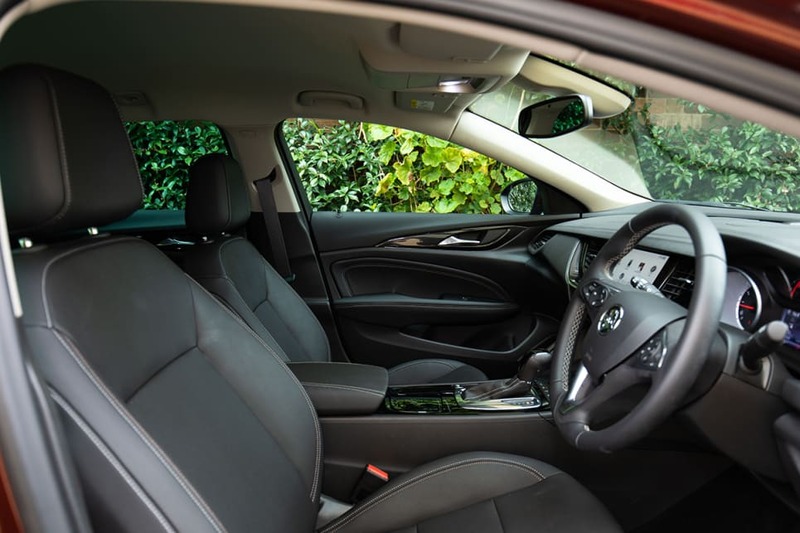 Rear passengers get two cupholders in the centre armrest and their own air vents which is one of the first things my children notice if cars don’t have them, especially if we’re driving during summer. I found the air con quite loud, though it could have been just the car I was driving. There is a power operated tailgate that is so handy to use especially when overloaded with groceries or you’ve got children hanging off both arms (so often the case!). 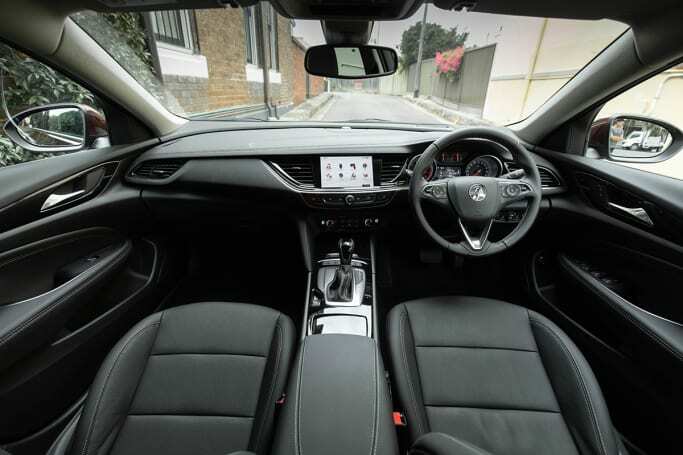 The Calais Tourer has advanced safety features covered as standard. You’ll get auto emergency braking, rear cross traffic alert, lane departure alert, blind spot monitoring and forward collision warning. 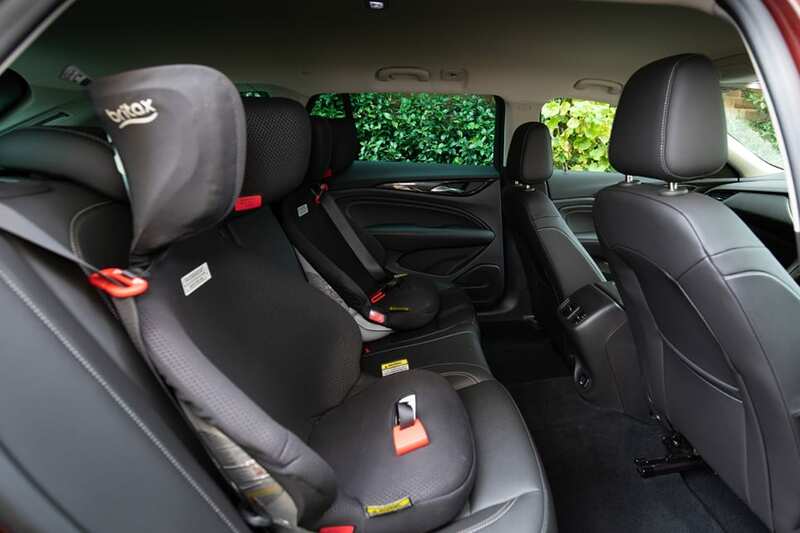 There are six airbags, plus two ISOFIX points and three top tether points for kids’ car seats. It gets the full five stars from ANCAP. 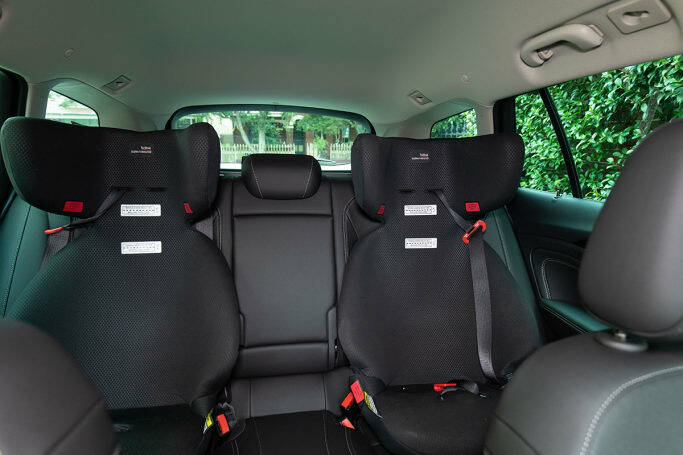 It has two ISOFIX points and three top tether points for kids’ car seats. 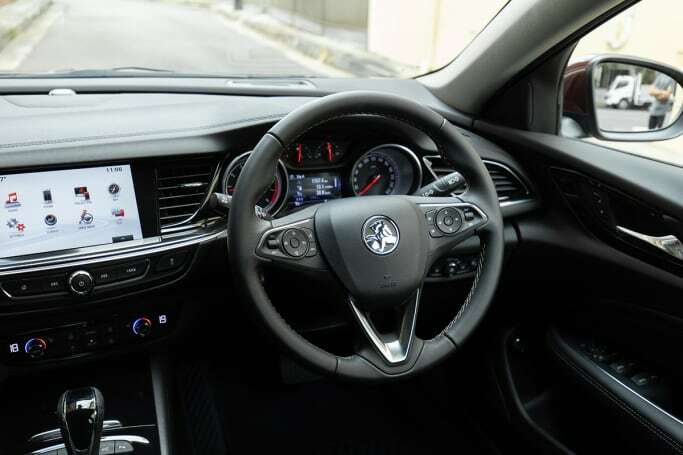 The Holden Calais Tourer comes with Apple CarPlay and Android Auto, so you can plug in and be instantly connected to your phones main apps. Use maps to navigate or Spotify to listen to music (turn the sound up, the audio is good in this car). There’s also voice control to make calls and send texts. There’s also voice control to make calls and send texts. The Holden Calais Tourer comes in at $45,990 before on-road costs. Fuel consumption is quite high (to be expected with the larger engine) at 9.1L/100km. 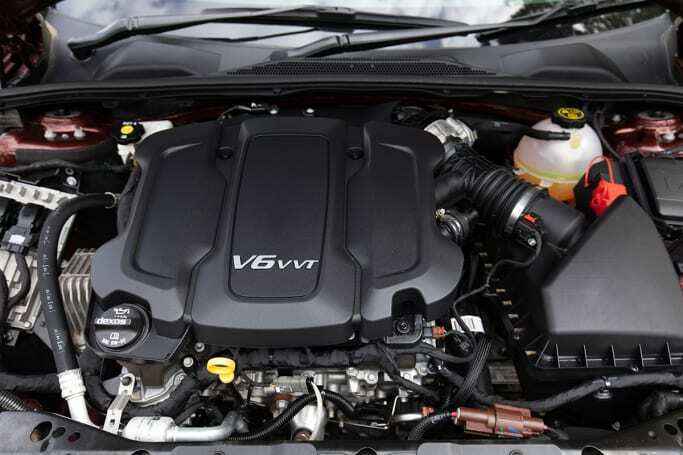 It’s covered by Holden’s five year/unlimited km warranty which matches other mainstream brands. Services are needed every 12 months or 12,000 km. 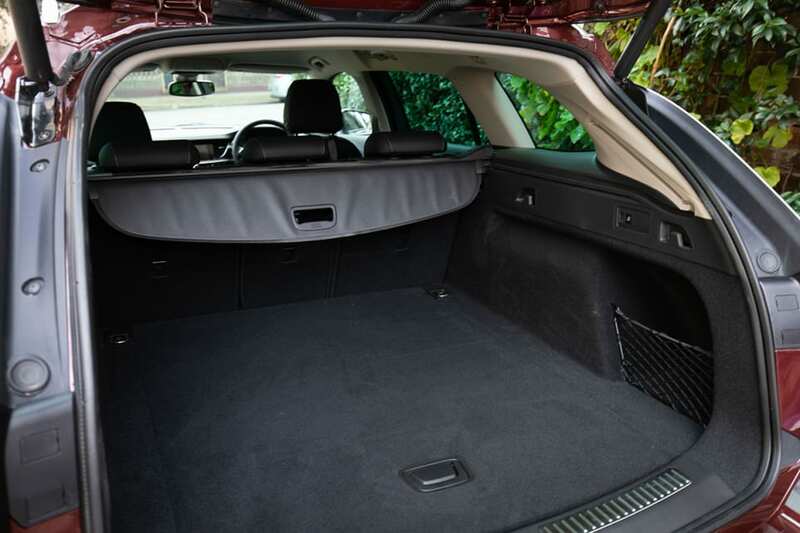 More and more I’m finding wagons offer better boot space for families than SUVs and I found the Holden Calais Tourer to be a great car for my family and I this week. It looked good, had lots of space inside, drove well and has all the latest in safety. I gave it a family rating of eight out of 10. My children gave it a 7.5, they prefer SUVs and being up high to wagons. What do you think of the new Holden Calais? Would you buy it for your family? Tell us what you think in the comments below. It&rsquo;s a case of evolution over revolution for the updated Mazda6 range. 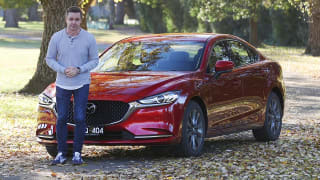 Lucky, then, that&rsquo;s all Mazda&rsquo;s flagship model required. 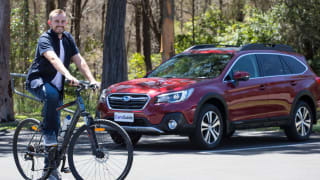 It&rsquo;s hard to think how Subaru could improve the popularity of the Outback. The current-generation model is easily the most successful version ever. 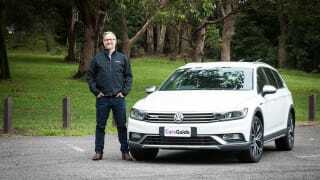 Tim Robson road tests and reviews the new Volkswagen Passat Alltrack Wolfsburg limited edition with specs, fuel consumption and verdict at its Australian launch in Sydney.